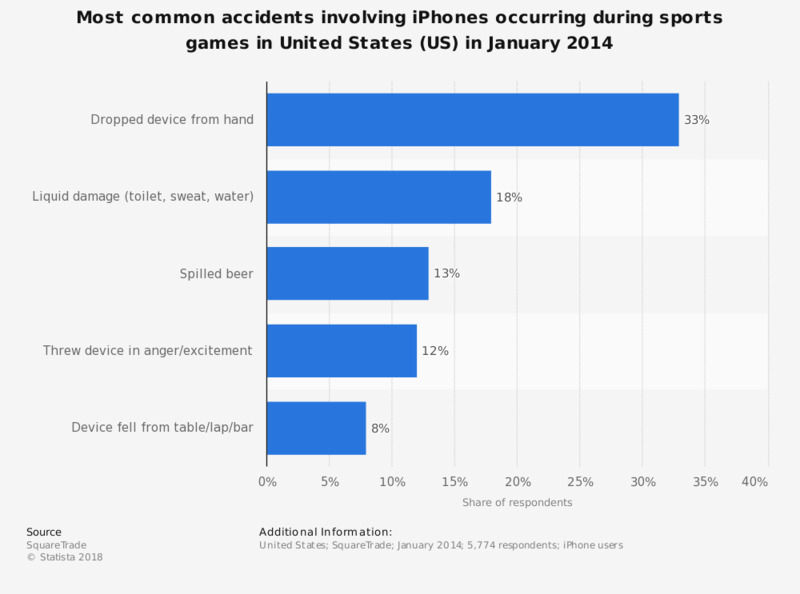 The statistics presents the most common accidents had with iPhones at sports games in the United States (UK). Among respondents, 18 percent reported having accidentally caused liquid damage to their iPhone at a sporting event. More common was dropping the device from their hand. Where would you buy travel insurance for sporting events? For which sporting events have you travelled/would you be willing to travel?